The title is St. John Pastoral, also the title of a poem in the book. St. John is the town I grew up in, a small town in central, rural Kansas with a population of 1295. (The town was named after John Pierce St. John [1833-1916], 8th governor of Kansas and a prohibitionist who made an unsuccessful bid for the U.S. presidency in 1884.) Eight generations of my family have lived in St. John. Kyle Laws, publisher of Casa de Cinco Hermanas Press, e-mailed me and asked if I would like to publish a book with her new press. The answer to that question is always yes. I gathered up what I had written since my last chapbook and she chose the content of the book from that. Although there are a couple of creative nonfiction pieces and a couple of essays, I call it a poetry book. Everything I write feels like poetry to me, even if it sometimes doesn’t look like it on the page. Do they make movies out of poetry collections? If they don’t, I guess they should! (I think we’ve just brainstormed the next project for James Franco!) Back to the question: Mom would be portrayed by Jami Gertz; Dad would be played by Richard Long from “Big Valley”; Connie by Conchata Ferrell; Rusty by Matthew Perry; Victoria Delilah by Vicki Lewis; my Grandfather and Grandmother Smith by Tracy & Hepburn; Julie by Mindy Cohn. 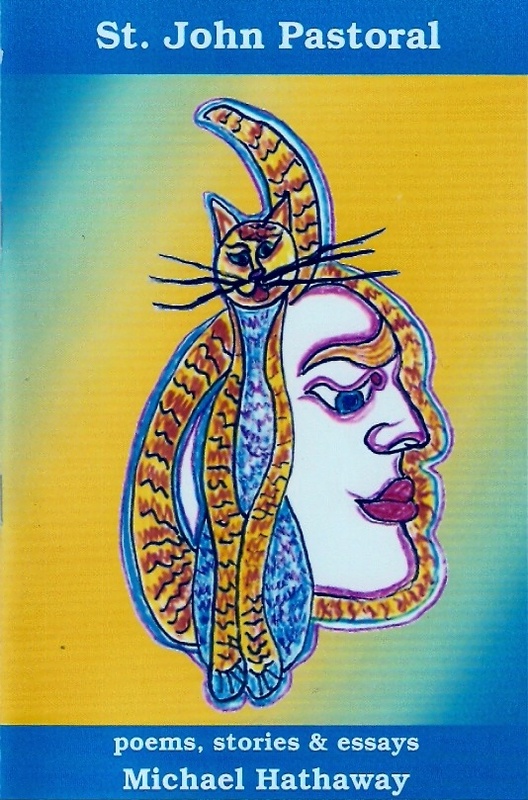 The chapbook was published in 2012 by Casa de Cinco Hermanas Press in Pueblo, Colorado. It’s available from the publisher or from Amazon.com. The poems, stories and essays in the chapbook are most of what I’ve written since 2003, when my last book was published. I publish a chapbook about every 10 years whether I need to or not. If Kyle hadn’t given me a welcome little push, it would have been a lot longer this time. 8. What other books would you compare this one to within your genre? The “cross-genre” format of my chapbook was inspired by Rochelle Lynn Holt, who has been combining genres in her books for years. I believe she, in turn, was inspired by her friend Anais Nin’s pioneering of the format. Dramatic life events & changes; passionate political views; social injustice; a flash of beauty; an epiphany of truth; the extraordinary emanating from the ordinary. The beautiful, colorful cover artwork by Karen Ritchey and Kyle’s gorgeous cover design. Maybe the humor. Also, it’s only 40 pages, so that might appeal to the very busy people of these modern days.